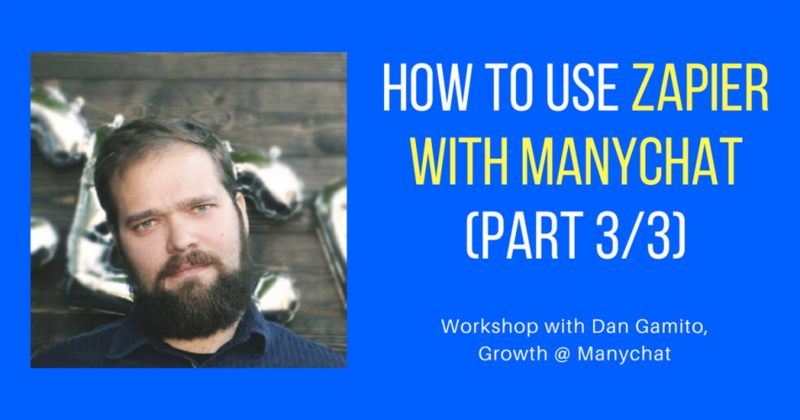 You made it to Part 3 of the Zapier + Manychat workshop – awesome! This 30 minute Q&A features 50+ attendees asking Dan on more advanced things you can do with Zapier. We get super specific on the nuances you need to know as chatbot creators. Watching this part will save you hours of time in the future when you get stuck.